Sometimes you just have to take a few minutes from the daily slog of life and take time to appreciate the stuff that’s going right. Celebrating the frugal things that are helping me save money and are making my life simpler allow me to keep my eyes on my long term goals. My family and I took a little road trip to a town we seldom visit (even though it’s only a 40-minute drive). 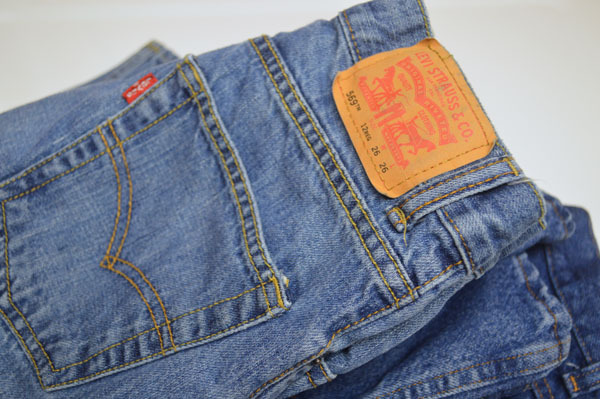 While we were there, we discovered an awesome little thrift shop in which I found several pairs of brand new and like-new jeans and khaki pants for my son and husband and some decor for our recently re-done bathroom, all for only $35! I love finding a great new source for inexpensive, name brand stuff, and the people were really nice there, too. 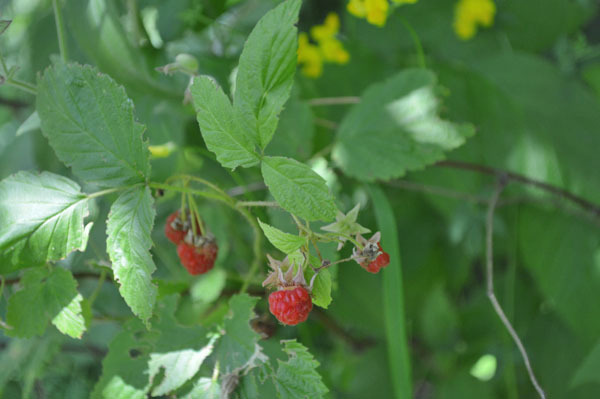 The quarter-mile stretch of road between my house and my parents’ house is lined with wild raspberry bushes. They’ve been producing beautiful red raspberries, and since my parents don’t care for them much, the berries are ours for the picking! Delicious berries at no cost, plus time spent with my family in the beautiful sunny outdoors? Yes, please! I have always had a bit of a soft spot for kitchen gadgets and gear, especially ones that promise to save me time and money. 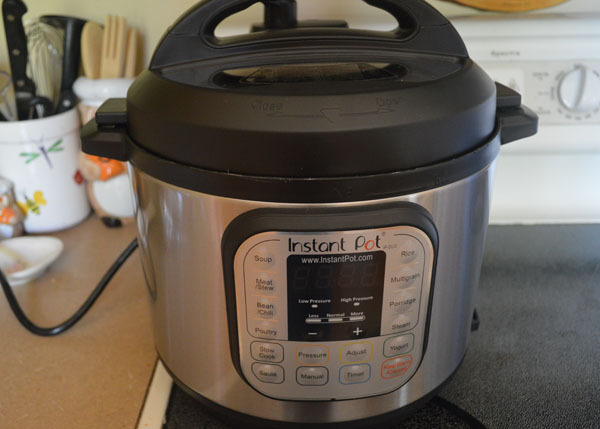 On Amazon Prime Day, I cashed in some credit card rewards points and got a fantastic deal on the 7-in-1 Instant Pot. I am thoroughly enjoying making delicious meals in a fraction of the time it would take with my slow cooker. I’m excited to try more recipes and features and I’m certain that this easy-to-use tool will help me save money on meals at home. 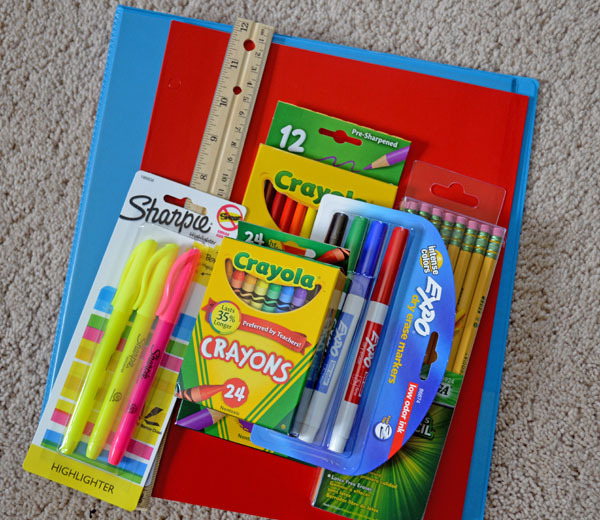 I love seeing all of the school supply deals show up in all the stores, because back-to-school sales aren’t just for kids! The sales are an opportunity for me to plan ahead for school projects, get organized around the house, and even shop for gifts for the holidays. So many possibilities! The back-to-school sales are also a reminder that a more consistent schedule is right around the corner for our family. I find that I tend to save more money when our routine remains pretty steady. I don’t know about you, but I’ve needed a break from all of the coverage of politics in the media and on Facebook. Thanks to my beloved public library, I’ve got books to read while I’m sitting out on the deck and magazines to browse on my iPad. I get free entertainment and the clutter goes back to the library when I’m done. Win-win! Life is good when you can take time to enjoy the simple pleasures in life on a budget. I love back to school season! 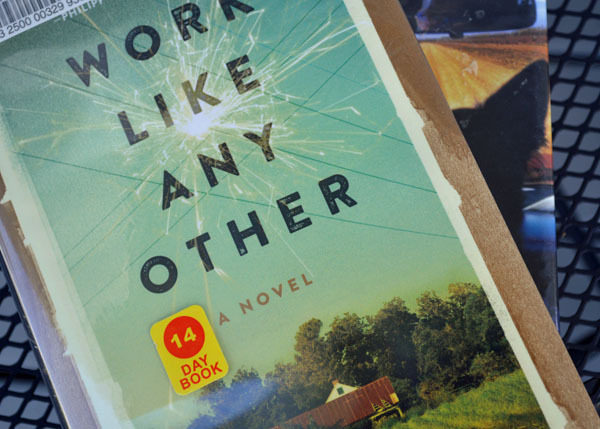 Frugal things making me happy right now are reading books that I currently own, watching my favorite show on Lifetime ( I don’t watch a lot of TV anymore but I do enjoy a good Lifetime show and I have free cable!) and being able to clean my apartment. Lately, I’ve been really into cleaning and I hope that this habit sticks. That’s a fantastic list! I wish the cleaning habit would rub off on me! We’ve been picking and freezing raspberries, too. We pulled our first batch of carrots and canned them (seven pints) and pulled up five beets. Right now most of the beet greens are in the dehydrator (for future soups), and the stems and the rest of the greens are split among two bags in the freezer and the slow cooker. Also in the slow cooker are a bunch of other veggie scraps that we save in the “boiling bag” in the freezer, and some vegetable cooking water we also save in the freezer. This batch of soup stock should be interesting because it includes liquid from cooking turnips, potatoes and a rinsed-out bag of black beans we cooked and frozen; as for veggies, it has onion skins, carrot tops, beet stems/leaves, potato peelings, green-bean ends, cucumber peelings, Asian greens (from a spawned-out plant), dandelion greens and even a bit of chickweed. Are you making jam from your berries? We have enough left over from last year, plus the jam my sister sent at Christmas, so we’re just freezing ours.